Spotted this on another forum. Always good to see a live web cam. The albatrosses now have a chick. 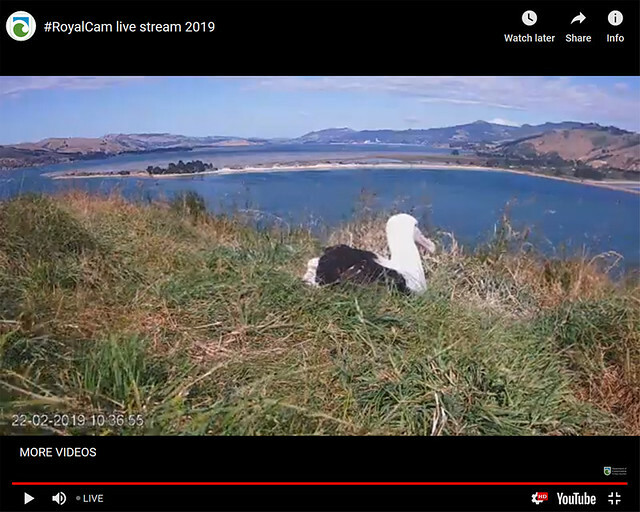 Its dark just now in New Zealand but the chick is on the highlights. If you have a chance, have a look now. The chick is visible and the webcam feed is good quality. It's quite windy there at the moment, and the mum is sitting tight so I didn't get a glimpse of the chick... but what a lovely view that bird has from her nest!